On the Mayo Clinic Radio podcast, Dr. Carrie Langstraat, a gynecologic oncologist at Mayo Clinic, discusses treatment options for ovarian cancer and the hopes for improving early detection. Also on the podcast, Dr. Andres Acosta, a gastroenterologist at Mayo Clinic, reviews a new, individualized approach to treating obesity through the Mayo Clinic Center for Individualized Medicine. And Dr. Justin Kreuter, medical director for the Mayo Clinic Blood Donor Program, shares the new eligibility guidelines for blood donors with previous cancer diagnoses. On the Mayo Clinic Radio podcast, Dr. Robert Jacobson, a pediatrician at Mayo Clinic, offers helpful tips to help your kids get ready for school and discusses the necessary immunizations for school-age children. Also on the program, Dr. Paul Croarkin, a pediatric psychiatrist at Mayo Clinic, discusses warning signs of anxiety and depression in teenagers. And Dr. Suresh Kotagal, a pediatric neurologist at Mayo Clinic, shares recommendations on kids and sleep. On the Mayo Clinic Radio podcast, Dr. Richard Weinshilboum, director of the pharmacogenomics program in the Center for Individualized Medicine at Mayo Clinic, explains how genomic information can tailor treatment to individual patients. Also on the podcast, Dr. Sophie Bakri, an ophthalmologist at Mayo Clinic, discusses adult eye health. And Dr. Dawn Mussallem, a family physician at Mayo Clinic, shares how cancer survivorship care plans can help patients and their families prepare for the future. On the Mayo Clinic Radio podcast, Angela Jarrett, a supervisor with Gold Cross Ambulance, shares what it’s like being a paramedic. Also on the podcast, Dr. Matthew Ferber, a geneticist at Mayo Clinic, explains what information can be uncovered by direct-to-consumer genetic testing. And Dr. Pritish Tosh, an infectious diseases expert at Mayo Clinic, discusses the recent rise in sexually transmitted infections. We've known for a while that sleep is important for your overall health. But many people struggle falling asleep. In this Mayo Clinic Radio Health Minute, Dr.
Summertime is here, and the Fourth of July holiday is fast approaching. Many kids are out of school, and it’s time for outdoor activities and family vacations. Wouldn't it be great for women to have access to an easy, heart-healthy exercise they could do just about anywhere at any time? Well, that activity does exist. If you've ever had one, you know that passing a kidney stone can be a very uncomfortable experience. 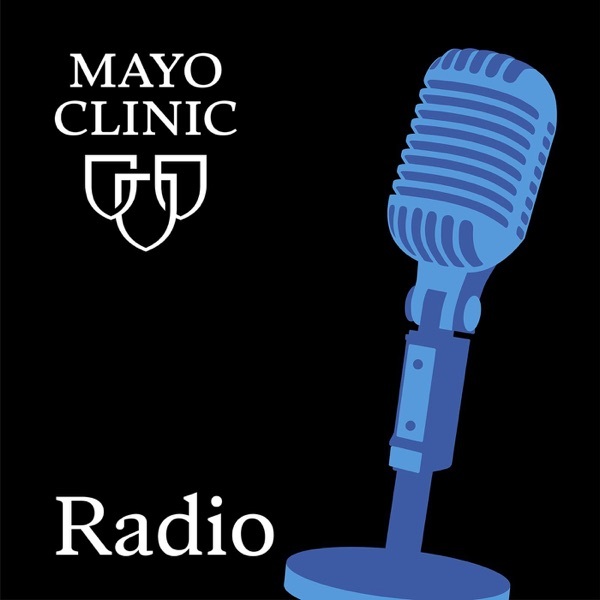 In this Mayo Clinic Radio Health Minute, we talk with Dr. In this Mayo Clinic Radio Health Minute, pediatric gynecologist Dr. Asma Javed will discuss the fertility preservation program at Mayo Clinic Children’s Center.